The president's remarks come amid the ongoing evacuation of hundreds of members of the controversial group, which Damascus considers to be a media arm of al-Qaeda in Syria. Speaking to Russian media on Thursday, Bashar Assad reiterated his position that the White Helmets were not a rescue group, but rather a "mask" for Nusra Front* militants. Assad said that the leaders of the group had likely already fled Syria, with the remainder staying behind under the guise of civilians and hiding in militant-controlled Idlib, which he said was home to "tens of thousands of terrorists." "They have fled Syria, but really did not flee — they were evacuated by Israel, Jordan and the Western powers," Assad said. According to the president, any White Helmets who refuse amnesty will be liquidated. "The fate of the White Helmets will be the same as that of any terrorist. They have two paths: either lay down their arms and take advantage of amnesty … or be liquidated, like other terrorists," he said. Commenting on the Syrian military's priorities, Assad called the liberation of Idlib province one of the main objectives, but not the only one. "Today Idlib is our goal, but not only Idlib. Today, of course, there are territories in the eastern part of Syria which are controlled by various groups. Some are held by Daesh* (these are small pockets) as well as Nusra Front, and other extremist formations. Therefore, we will be moving to all these regions. The military, and it is up to their discretion, will determine the priorities, and Idlib is one of them," Assad said. 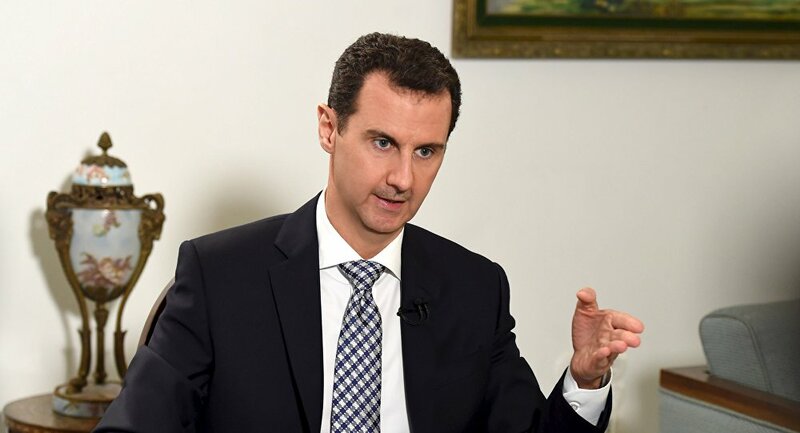 Also on Thursday, Assad compared the current situation in his country to the Great Patriotic War (the Soviet-Nazi conflict during World War II). Surrounded by relatives of Russian servicemen who died fighting jihadists in Syria, the Syrian leader said the barbarous actions of the Nazis were comparable to those of today's terrorists. "In school, you've read about the Great Patriotic War. In Syria today we are experiencing something similar. When the Nazis attacked [the Soviet Union] they began killing Russians simply because they did not like them, and the Russian heroes were defending not only the Russian people, but the whole world." Now, Assad said, "both Russian and Syrian heroes are doing the same thing." Appealing to Syrians abroad who fled the country during the war, Assad said that he would like to see "every Syrian return," particularly those who had their own business, which would help in the restoration of the economy. The president admitted that accommodating returnees wouldn't be an easy task, given the destruction of housing and infrastructure caused by the war. Russia, Assad said, is a great power, and has a duty to restore a geopolitical equilibrium in world affairs. Part of this responsibility is "a political and military presence in various regions, if this is necessary," he noted. * Terrorist organizations outlawed in Russia.